You cannot fully appreciate how much this car stands out until you hit the highway. BMW unveiled the i8 Roadster in August at the BMW World of Passion and Joy exhibition in Singapore, alongside 30-plus other Beemers, including the heritage cars. 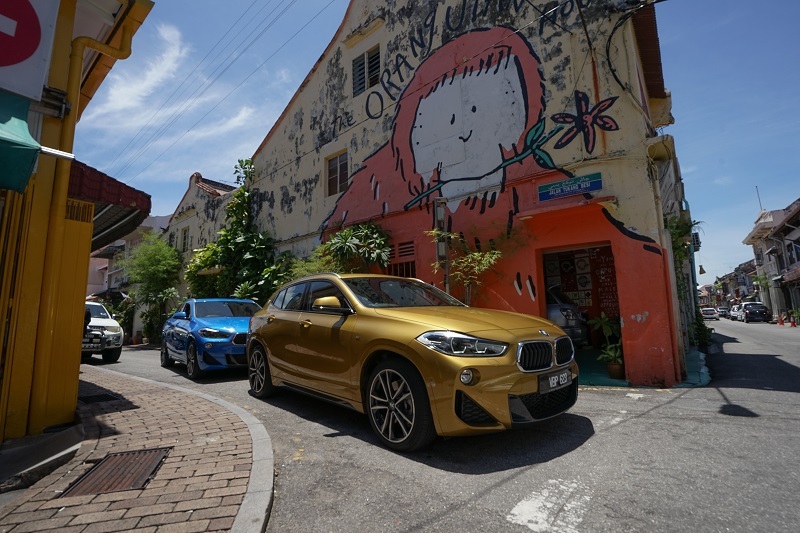 As one of the members of the media invited to the extravaganza, I got the chance to test drive the BMW X2 sDrive20i M Sport variant. 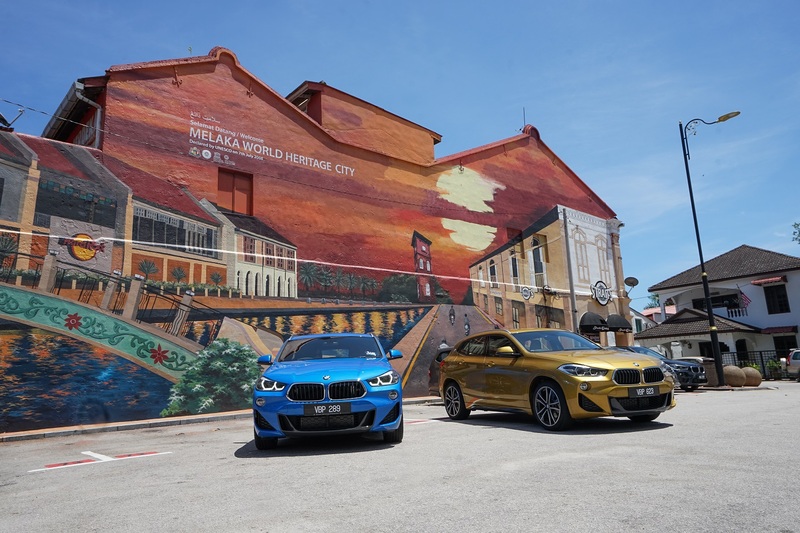 We started off at 9.30am from BMW Malaysia’s headquarters in Cyberjaya, where we were paired off with driving partners and given the choice of the model in Galvanic Gold Metallic or Misano Blue Metallic. I happily jumped into the passenger seat of the one that reminded me of the blue domes in Santorini, Greece. The first impressive feature of the X2 is its distinctive exterior, with the adapted wide base of the iconic kidney grille, robust construction and aerodynamic lines. The next plus point became apparent when we loaded our bags into the car — I was amazed by the 470L capacity of the boot, which can be expanded to 1,355L with the rear seat backrests folded down. It does not stop there. The spaciousness of the X2’s black-and-grey interior makes it the perfect car for a road trip. What made our drive even more comfortable was the BMW M Sport Suspension, which lowers the car by 10mm. An 8.8in touch display provided useful navigational information throughout our journey. The multifunction steering wheel and electric seat adjustment with memory function for the driver were other little luxury touches that made the drive a pleasure. But what is a road trip without music? Four speakers and two woofers help create a pleasant auditory experience. We made our first stop for lunch in Melaka. Easing the X2 into a tight parking spot in the bustling city was a demonstration of precision, thanks to the Park Assistant, Park Distance Control and rear-view camera. We took a quick and unavoidably sweaty walk to The Daily Fix, a popular café in Jonker Street, where we nourished ourselves with eggs Benedict and fluffy pancakes before ambling over to the famous cendol shop nearby to cool off. Our bellies full, we continued on our journey to Singapore, with my turn at the wheel. Though nervous at first because of my unfamiliarity with driving anything so big, I was quickly set at ease by how smoothly the X2 operates. You cannot fully appreciate how much this car stands out until you hit the highway, where cars make way for you on the fast lane like you are royalty on the red carpet. Powering this Sports Activity Coupe is the award-winning two-litre BMW Twin- Power Turbo 4-cylinder petrol engine that enables it to sprint from 0 to 100kph in just 7.7 seconds. This engine combines twin-scroll turbocharger with Valvetronic, double Vanos and high-precision injection, which generates a top speed of 227kph. The effortless acceleration made adhering to the speed limit incredibly difficult, so it is good that the BMW Head-Up Display was there to remind me to do so. As we crossed the Causeway to Singapore, we were disgruntled at the heavy traffic. But being ensconced in the X2 alleviated much of the stress. At the immigration checkpoint, despite being a compact coupe, our car dwarfed the other vehicles and it was quite a tight fit through the narrow gates. As we made our way through green Singapore, we noticed on the dashboard and doors the lilac LED ambient lighting stripes, whose colour settings can be changed to orange, mint, bronze, blue or white. After a quick check-in at the Pan Pacific Hotel, we freshened up for the welcome dinner with Alexander Kotouc, head of product management BMW I at BMW Group. We were up bright and early the next day, eager to catch the BMW showcase, the third since 2010. We walked over to Suntec Singapore International Convention and Exhibition Centre, which was only 300m from our hotel. As we munched on canapés and sipped some juice, we were excited to see the newer models on display as well as some of the iconic heritage models. There was the coveted collectors’ model, the 1937 BMW 327 Sports Cabriolet, which is an old-school silver vehicle that features the M-78 engine. There was even a 1955 BMW Isetta, an odd automobile that required entering through a door at the front of the car. After being treated to dance performances, followed by a few words from BMW Group Asia managing director Christopher Wehner, we were given free rein to take a closer look at the BMW masterpieces. The next day, I drove the X2 all 350km back home, with a quick lunch-stop in Johor at Hua Mui, a coffee shop famous for its Hainanese chicken chop. Although unused to long drives past an hour, I found driving it an absolute breeze. Sometimes the best therapy in life is a long drive with your favourite music for company. Looks like I lucked out on this road trip. This article first appeared on Oct 15, 2018 in The Edge Malaysia.